An absurd and comic duet of circus, Cul de Sac explores the sometimes gentle, sometimes brutal nature of human relationships. 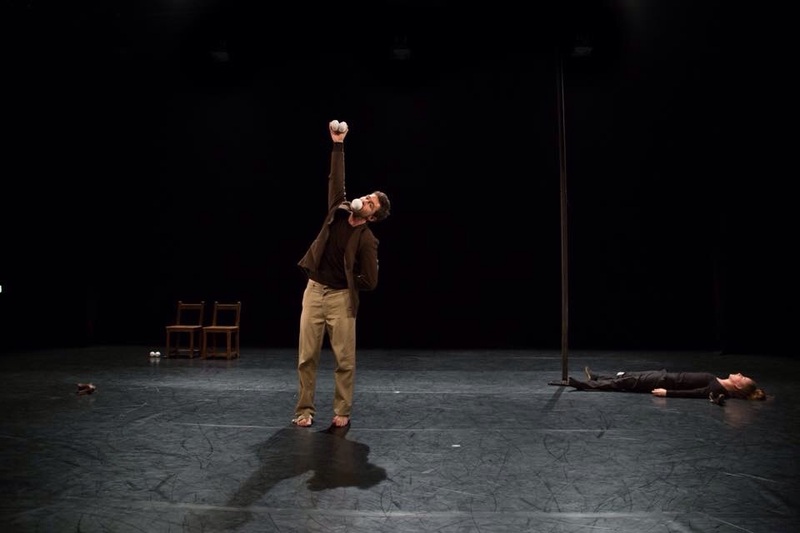 Featuring world-class juggling, dance and acrobatics, performers Gemma Palomar and José Triguero take us through a cycle of love, irritation, pain, euphoria, caress and carelessness as they journey beyond the stereotypical male-female relationship. Combining astonishing physicality with evocative imagery and humour, Cul de Sac is at once entertaining, troubling and touching, light and dark. We have premiered the show at Jacksons Lane and toured to Worthing Theatres and Déda Derby. The space needs to be smooth, clean, dry and empty (no speakers, light, or anything else). The performance requires 3 or 4 anchor points of 250 kg each which need to be compatible with a D- shackle. The anchor points can be weights, staging, posts, railings, in-floor fixtures. If there are no anchor points it is possible to attach the pole to the floor and to the top with a truss.